The Shoe bar and café can be found in Yagan Square—the new City Link precinct, connecting central Perth and Northbridge together. 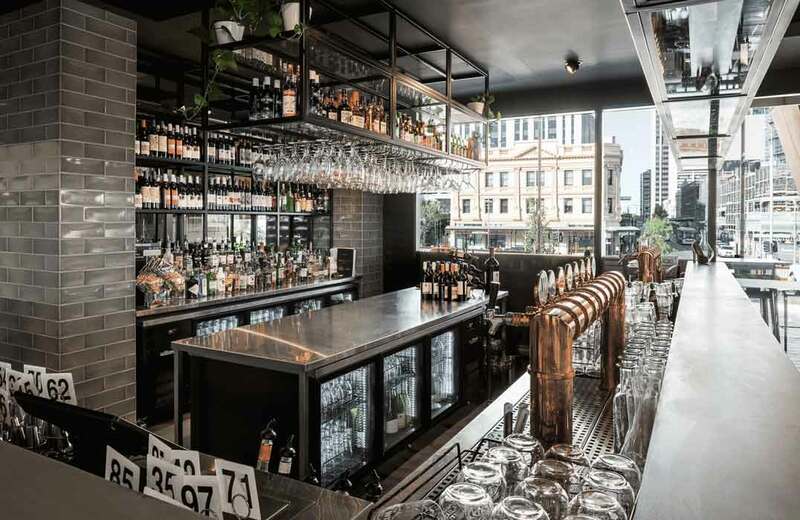 The Shoe bar and café can be found in Yagan Square—the new City Link precinct, connecting central Perth and Northbridge together. The venue resides in a tourist hub which is now considered the new heart of the city. Having been ten years in Government planning and two years in construction, The Shoe bar and café has been a long anticipated project. The striking and beautiful façade is passed by 16,000 people per day. As you enter the bar—no-doubt drawn in by the unusual brutalist, corten clad exterior—you’ll be impressed by the modern foodservice fit-out. The minimalist edge is softened using brass and earth tones in its interior design. The Shoe’s front of house and kitchen areas both required maximum storage for its limited square metreage. The main bar, fitted with custom 900mm deep, pass-through Boronias, is accessible from both sides to ensure maximum storage and flexibility. Several single door Boronias were also placed under the beer fonts to chill glasses. A clever combination of fridge and freezer Opals with drawers, were used in the kitchen for versatility and maximum accessibility to food product. The consultant for this project was Mike Giamcobino of Bars and More www.barsandmore.com.au who worked in collaboration with Cross Architects www.crossdesign.com.au and Williams Refrigeration.